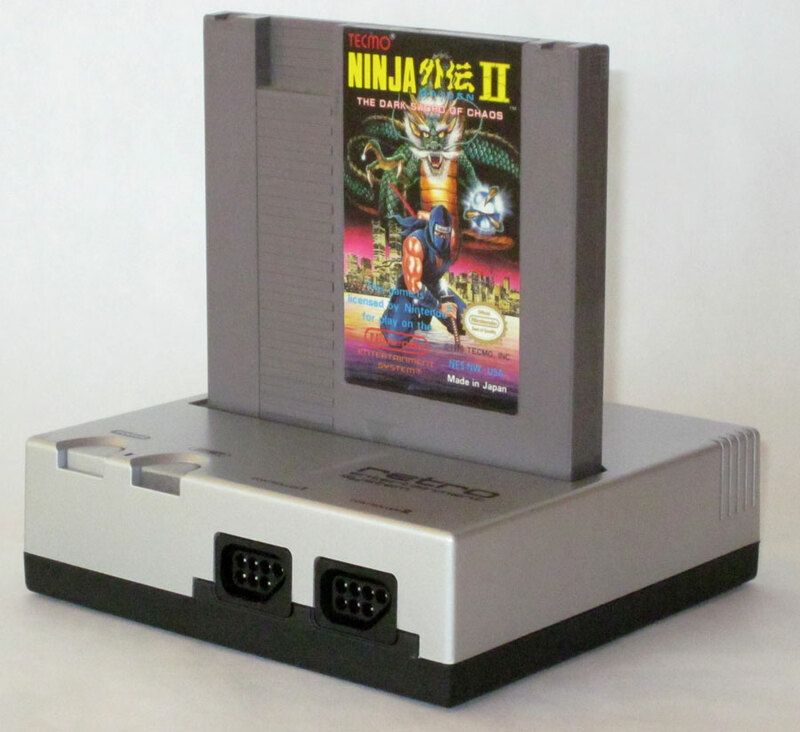 Play your favorite NES games on this NES clone console. 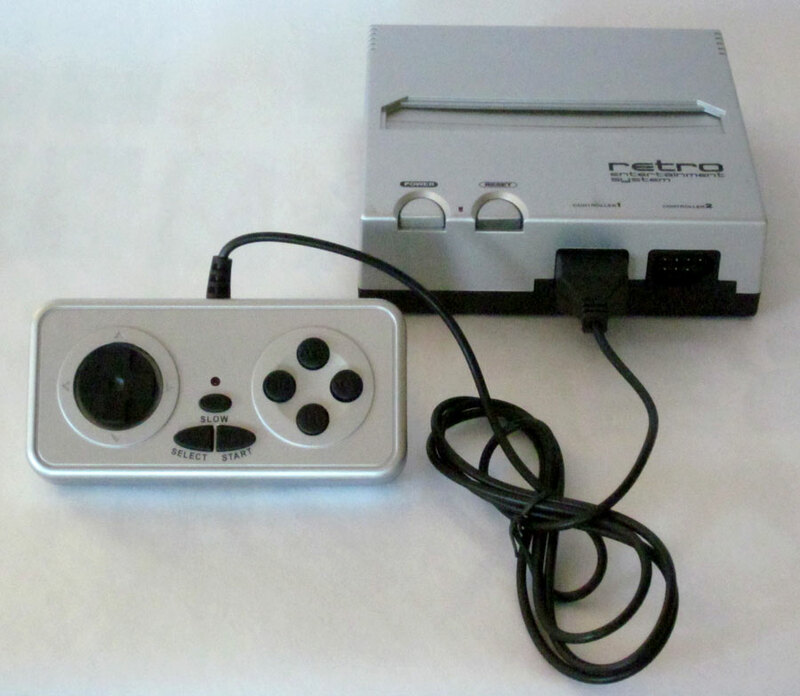 The images of the Retro Entertainment System are categorized and show the console, joystick controllers and accessories. 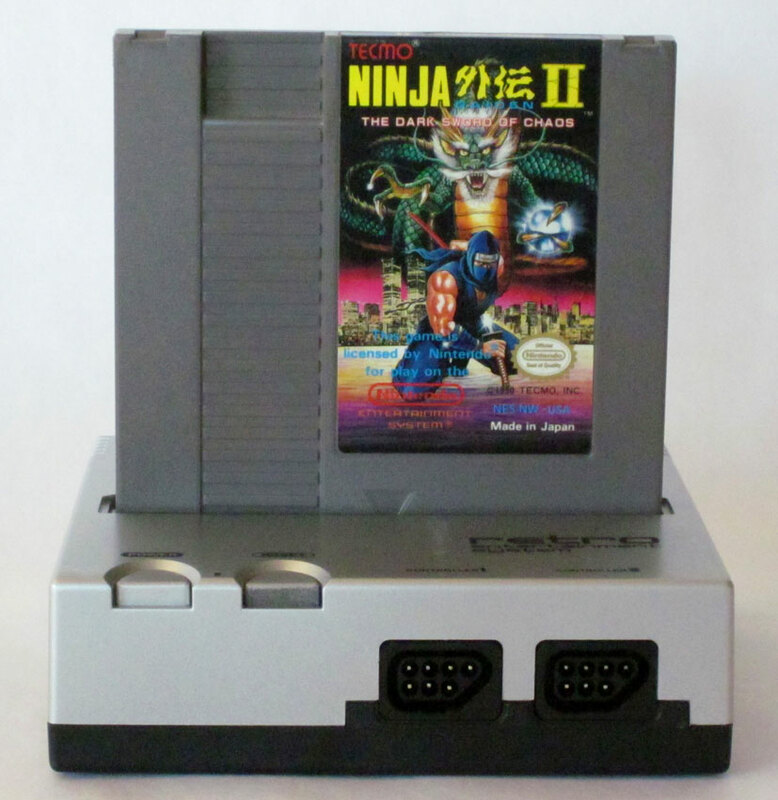 You will also find detailed close-ups of the ports and connections available on the Retro. 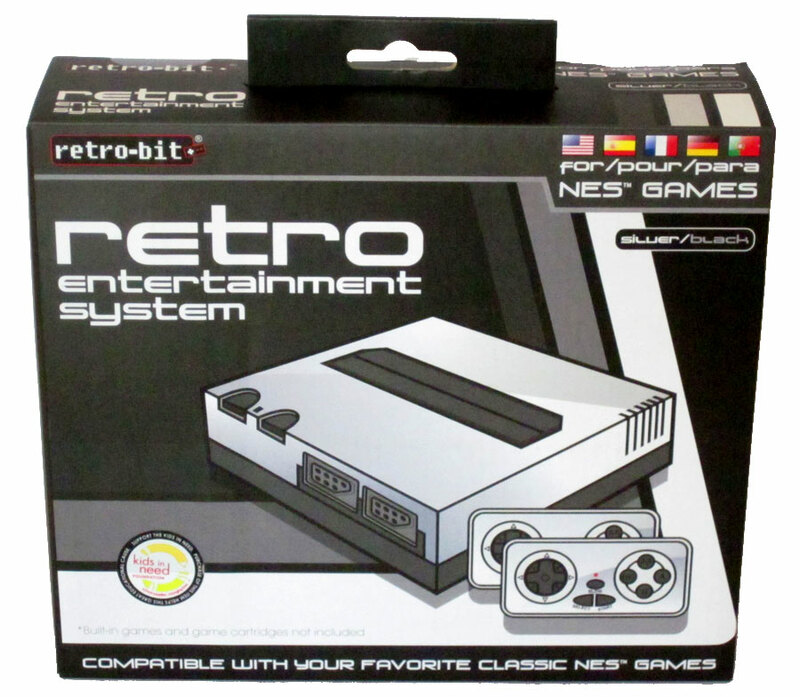 Front of the Retro Entertainment System box. 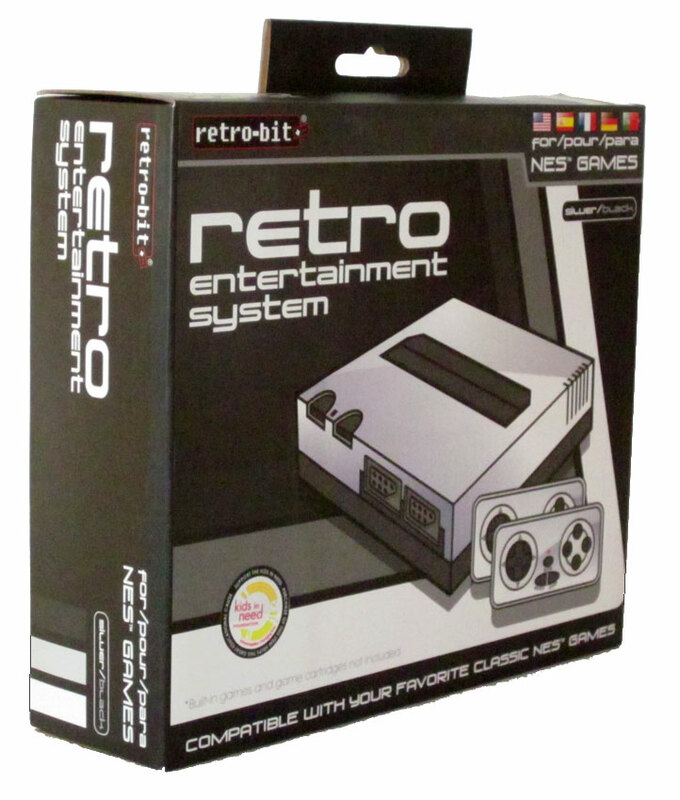 Side view of the Retro Entertainment System box. 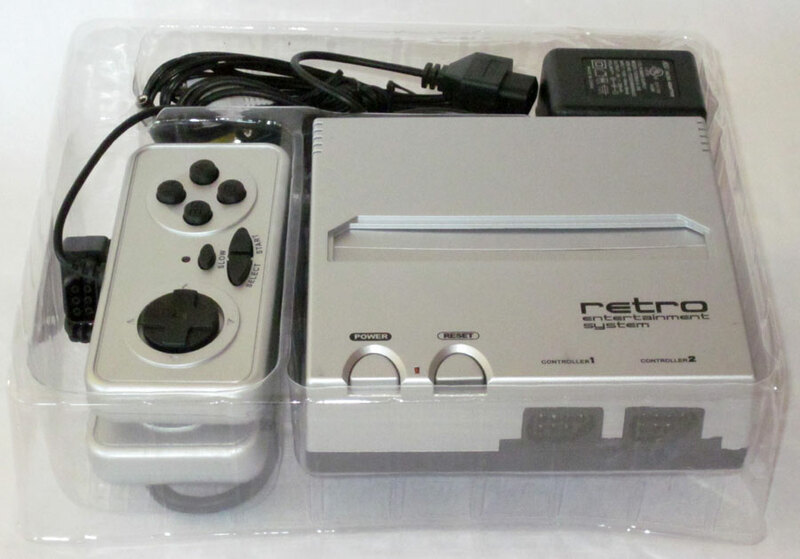 Rear view of the Retro Entertainment System box. 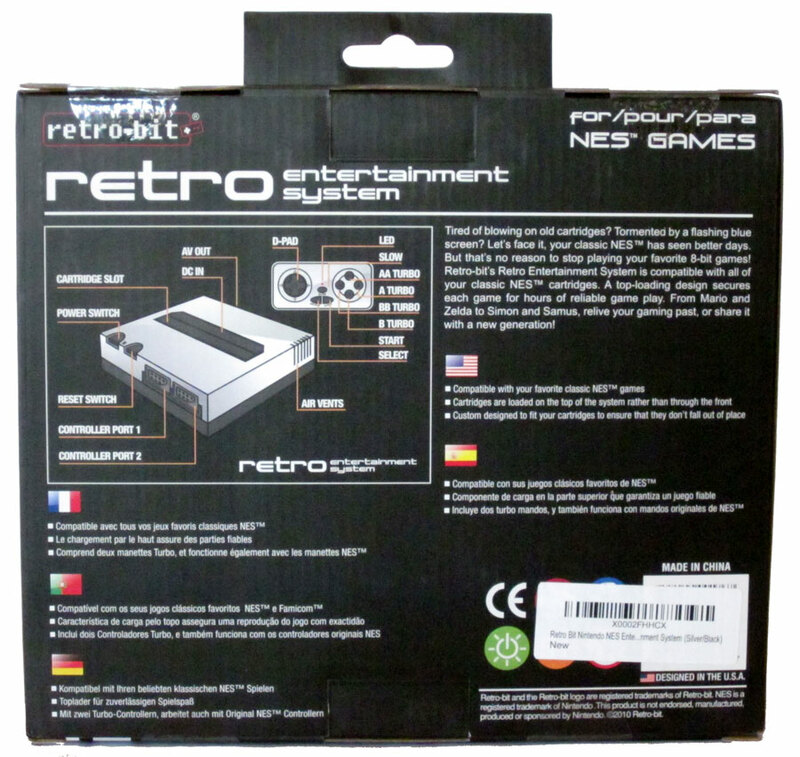 Internal packaging of the Retro Entertainment System. 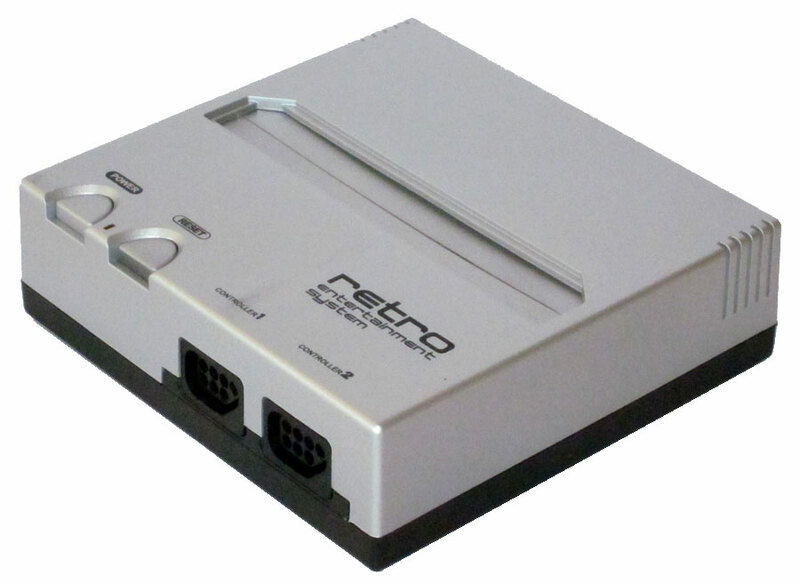 The Retro Entertainment System Console. Left side view of the Retro Entertainment System Console. 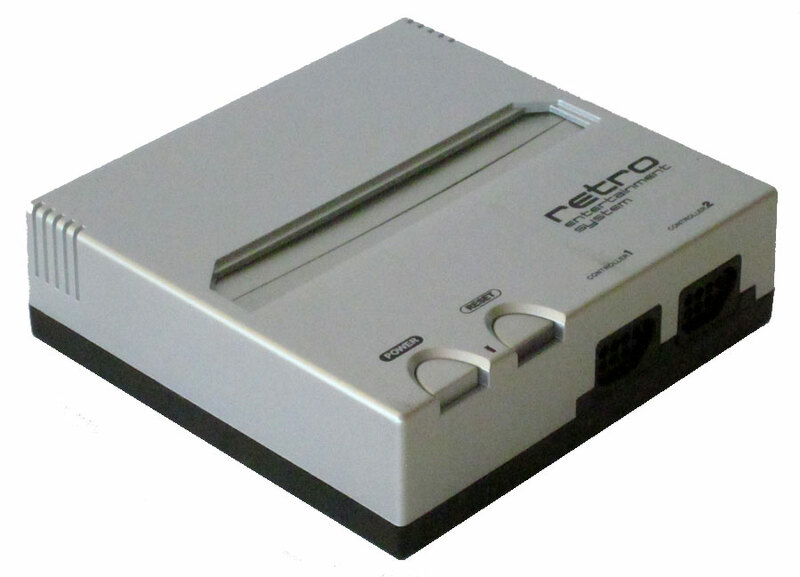 Right side view of the Retro Entertainment System Console. 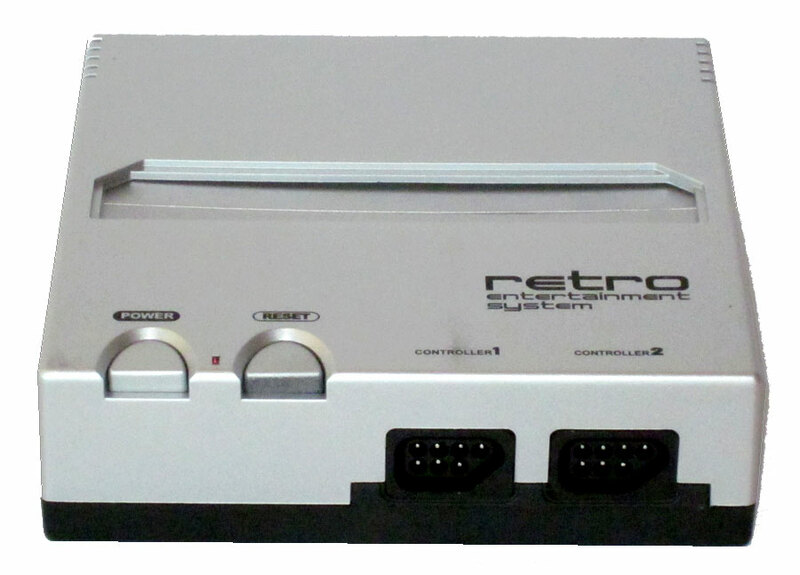 Rear view of the Retro Entertainment System Console. The Retro Entertainment System set up with joystick. 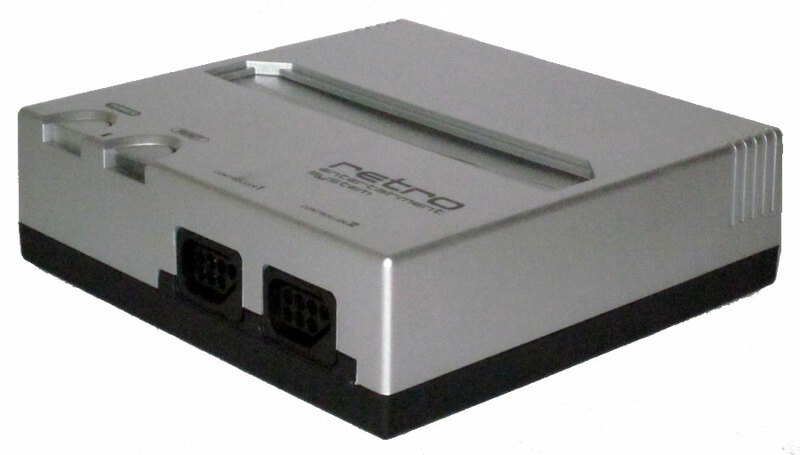 The Retro Entertainment System with an NES game inserted in the cartridge slot. 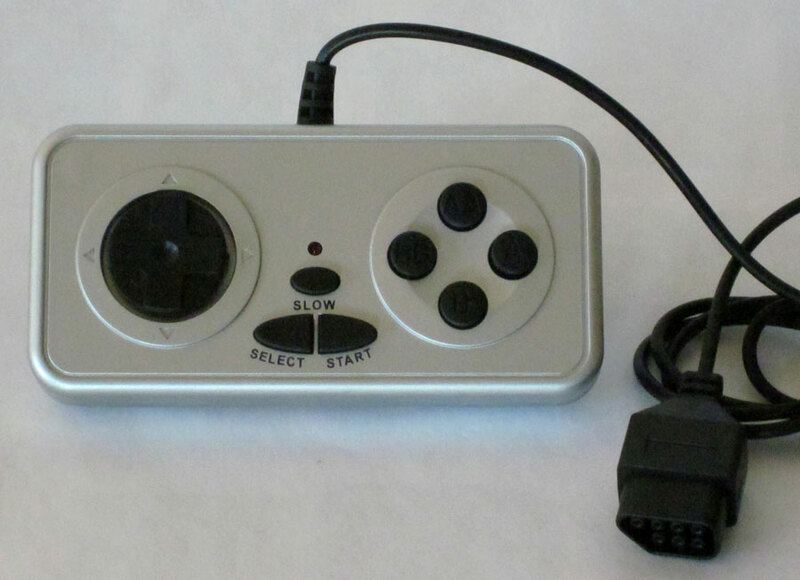 Retro Entertainment System's controller and plug configuration. 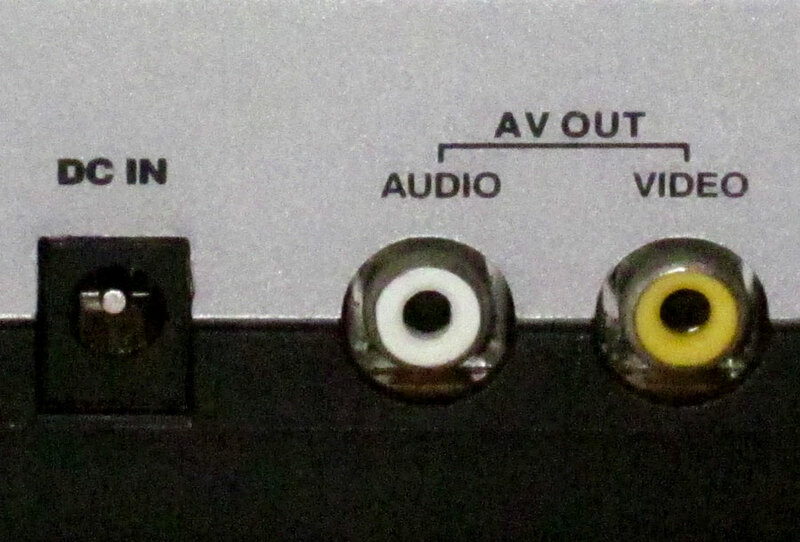 Rear ports on the Retro Entertainment System Console. 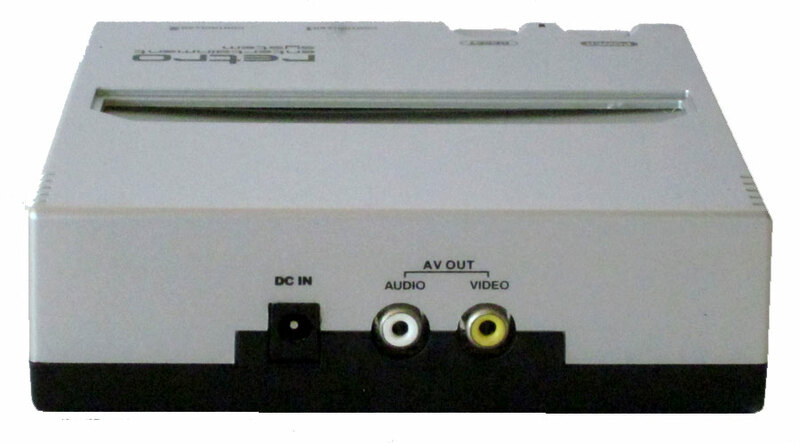 Audio comes from a single monaural port next to the accompanying video output. 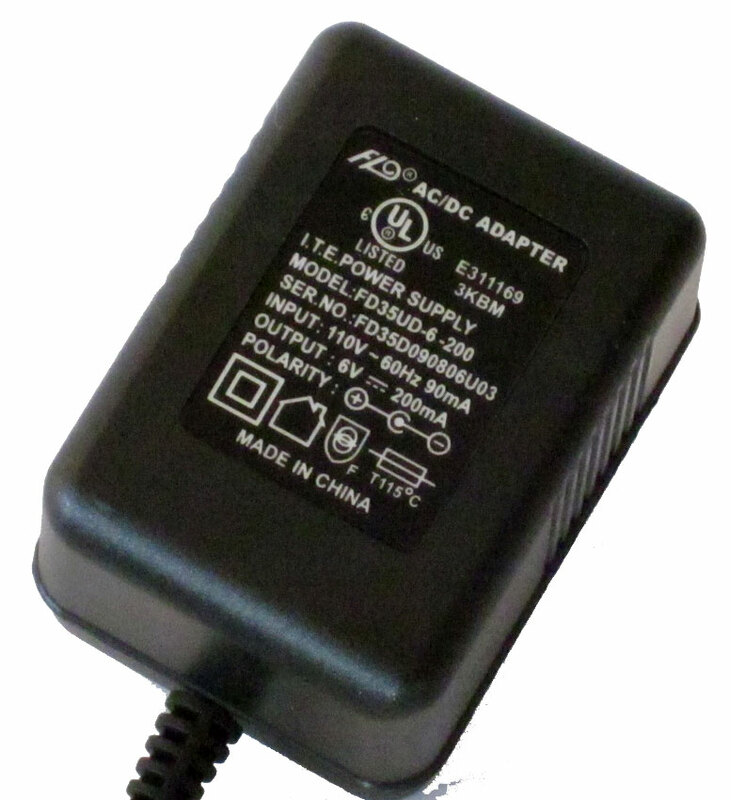 The power connection is located on the rear panel as well. 2 joystick ports on the Retro Entertainment System Console. 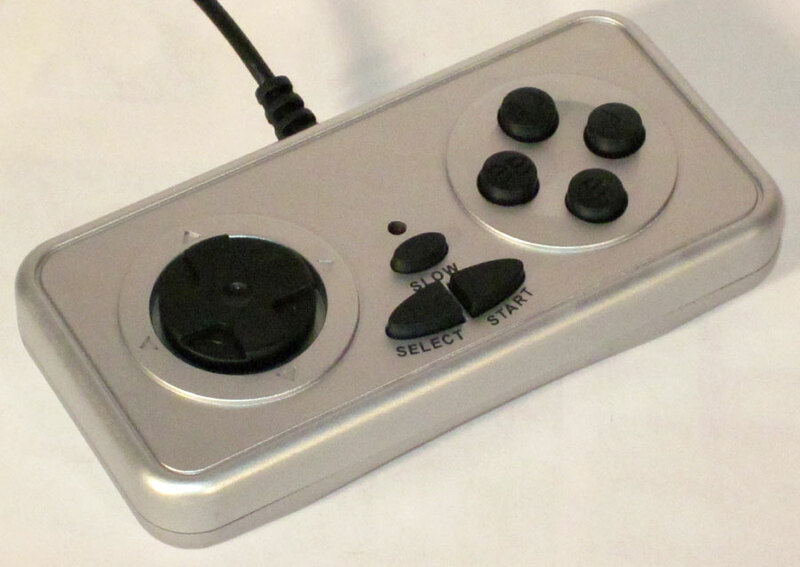 Your original 2600 joysticks can also be used!